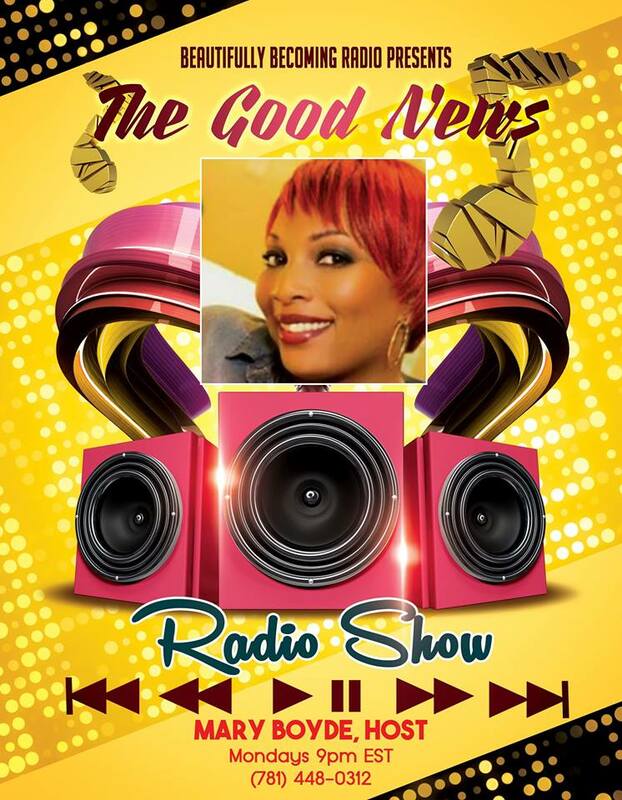 In a world where everything seems to be wrong, The Good News Radio, hosted by Mary Boyde, is here to shed light on what’s right via talks regarding your spirit man, your healthy man and your wealthy man. Your spirit will be rejuvenated, your soul empowered and your body will be ready to run this race called Life. Isaiah 61:1 The Spirit of the Sovereign Lord is upon me, for the Lord has anointed me to bring good news to the poor. He has sent me to comfort the brokenhearted and to proclaim that captives will be released and prisoners will be freed. THERE ARE SOME MOBILE DEVICES THAT WILL NOT PERMIT PROGRAMMING TO BEGIN PLAYING AUTOMATICALLY. IF YOU ARE EXPERIENCING THIS PROBLEM YOU MUST CLICK ON THE PLAY BUTTON FOUND ON THE LEFT SIDE OF THE RADIO PLAYER AT THE BOTTOM OF THIS PAGE TO ENJOY OUR PROGRAMMING.